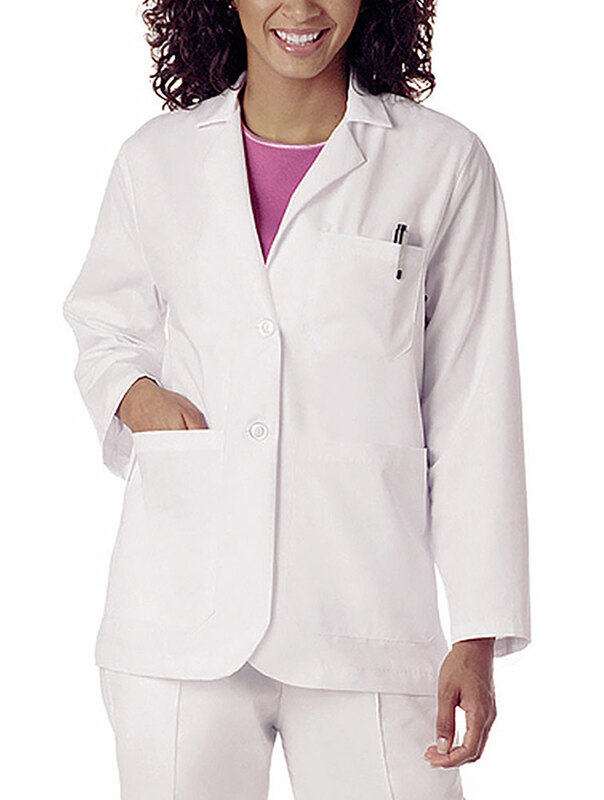 No need to get a second opinion; this consultation jacket is truly stylish. Featuring two button closure, three outside pockets and two lower inside pockets, this jacket is a great functional layering piece. 65% Polyester/ 35% Combed Cotton Medium length: 28 1/2" (Size 10).